Dead or Alive 6 Interview with Producer/Director Yohei Shimbori: Rebalancing, Guest Characters? During last week’s media event with Koei Tecmo in San Francisco, we had the pleasure of speaking with Yohei Shimbori, Producer and Director on Dead or Alive 6. This wasn’t the first time that Wccftech was able to speak with Shimbori-san, following up a previous interview during E3 2018. In the 4 months since we last spoke, the team at Koei Tecmo has been hard at work on creating the latest iteration in the Dead or Alive franchise and we were eager to catch up to see how much has changed. We’ve also captured some live gameplay footage of the most recent PlayStation 4 build of Dead or Alive 6. As a reminder, Dead or Alive 6 will launch on February 15th, 2019 for PlayStation 4, Xbox One, and PC. Thank you for taking the time to see me and it’s good to meet you again. 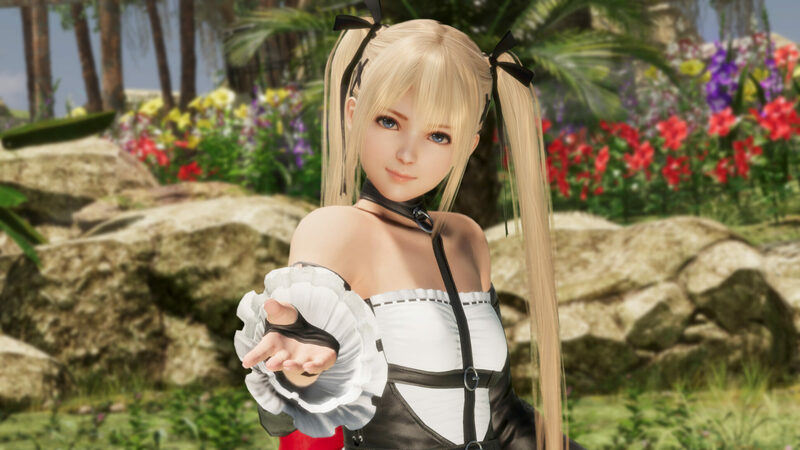 (Since) it’s been a few months since E3, can you talk us through some of the changes in Dead or Alive 6? Post-E3, the most obvious change would be the characters. The E3 build [of Dead or Alive 6] had 6 characters, then at EVO, Gamescom, and TGS, we introduced a total of 8 more characters, so now the roster is up to 14. In terms of stages, we first revealed 1 and now have increased to 4 stages. At first, this started with very serious looking stages but now we’ve added more of the entertaining additions. We’ve also refined some of the elements, such as the physics and adjustments to the depiction of violence. We’ve given the option to turn [blood] on or off. So, we’ve made some fine tuning and it’s become a version that’s a lot easier to play. One of the topics from the E3 build was that Fatal Rush and some of the new Break moves were too powerful. What has your response been to that feedback? We’ve made some adjustments, not too many, but some slight adjustments. With the Break Blow, I think that when you attempt to parry, we made the frames a little bit shorter and the damage is a little bit [reduced]. The way that the Break gauge filled up during E3 was way too quick, so we made it fill up at a [slower] pace. With the Fatal Rush, we haven’t made that many changes, just a little bit of adjustments to the damage. It’s not really that big of a difference. I think the fine-tuning adjustments will be something that we do right up until the master or maybe even after the master version is complete. It’s always an ongoing process and we will continue with that throughout [development of Dead or Alive 6]. Right now, there’s also some combos that will immediately KO the opponent, so we might be looking to adjust that as well. Great. It’s important to always keep an eye on that tournament balancing, especially when you want to be on the main stage for EVO. You don’t want to always see the same characters just because they’re the strongest in the roster. Yes, that’s definitely something that we are always keeping an eye on and we do know that it’s invaluable. It depends on the player themselves too. Certain characters, no matter who plays them, will be able to do well or sometimes the really strong players will end up choosing the strongest characters and keep on winning. So, where do we look at? Do we look at the players that are too strong and adjust accordingly, or do we look more at the broader basis and adjust based on everyone else around the world? It’s something that’s very difficult to do but we want to implement it. Especially if you want to strike the balance between the two. Yes, even depending on what region [players are from] too. I did have a couple of questions from a player that exclusively plays Kasumi. [First], can Kasumi still backflip off of a wall in Dead or Alive 6. That’s a very interesting question. It’s the first time I’ve been asked that, but yes she can. Kasumi also had a famous PPPK combo in Dead or Alive 4. Will that combo return for Dead or Alive 6, or will she be using the updated combo from Dead or Alive 5? Her PPPK hasn’t changed, so maybe they’re referring to before Dead or Alive 4. We’re still tuning Dead or Alive 6, but we have received this player’s feedback. We’ll hear some of the feedback, but we don’t want Kasumi to be advantageous to just that one player. Oh yes, Kasumi isn’t a character that I know too much about because I was a Christie main for the past few games. Now, I don’t know if you’re ready to talk too much about the story to Dead or Alive 6, but is Brad Wong still alive? I won’t say if Brad’s alive, but there’s someone who enjoys drinking that’s alive. I’m not allowed to say anything specifically. Another character that’s been missing from the Dead or Alive roster was originally from the Ninja Gaiden trilogy: Irene Lew, or Sonia as some may know. Is there a possibility that she might accept an invite to the DOATEC tournaments? She did appear in Dead or Alive Dimensions, at least. I think I know who is asking that question because I’ve seen that question come up in various times from the same person. The short answer is no. To follow up on a question we asked at E3, has Kazuma Kiryu returned your phone call yet? It would be great if we could become friends. [The back alley stage] would be a great stage for him to battle in. Have you played Yakuza 6? Then you know how he is right now. We can’t spoil the Yakuza 6 story, so if you haven’t played it yet, we can’t say too much.